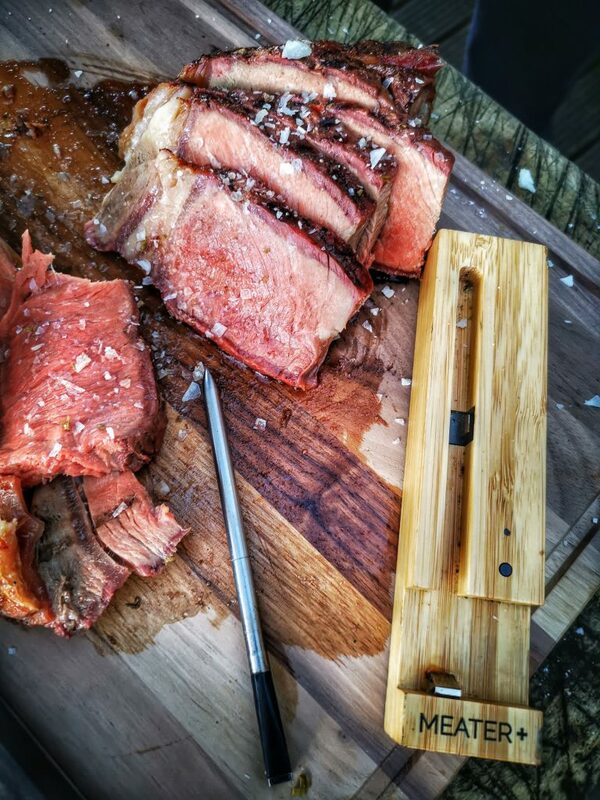 I’ve been trialling both the Meater and Meater + bluetooth thermometers over the last year, and have been very impressed on the whole. They are a wirefree probe type thermometer that you leave in the meat as you cook it. 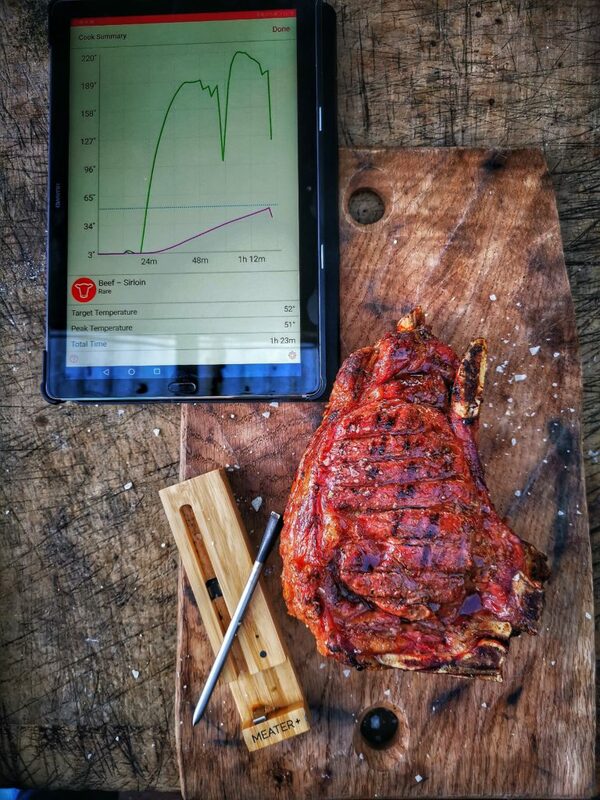 It then sends the temperature of both the meat and the BBQ/Cooker temperature. 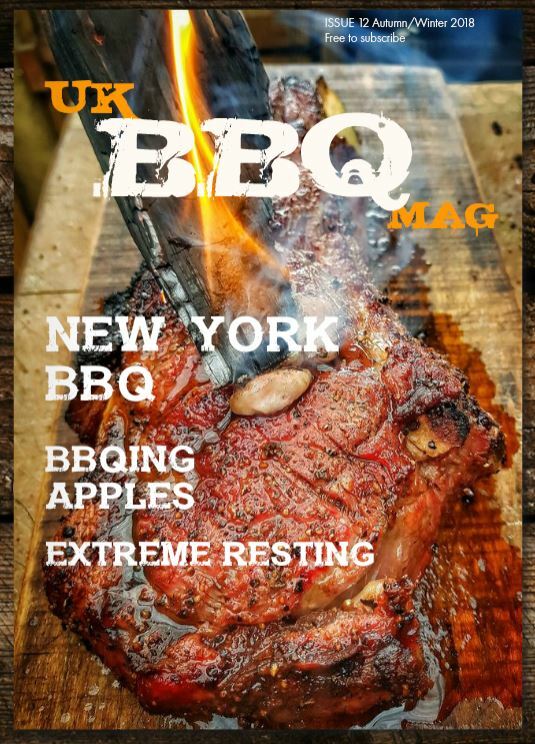 Giving an all in one solution to monitoring your BBQ temperatures. What’s the Meater + like to cook with? Well I’ve had some great cooks using the Meater + it really is a cracking bit of kit, the information it gives helps you learn more about the cooking process. Understanding things like “The dreaded stall” in a visual manner can make all the difference. The accuracy is spot on with good probe placement which is important, and the bluetooth range is pretty decent. 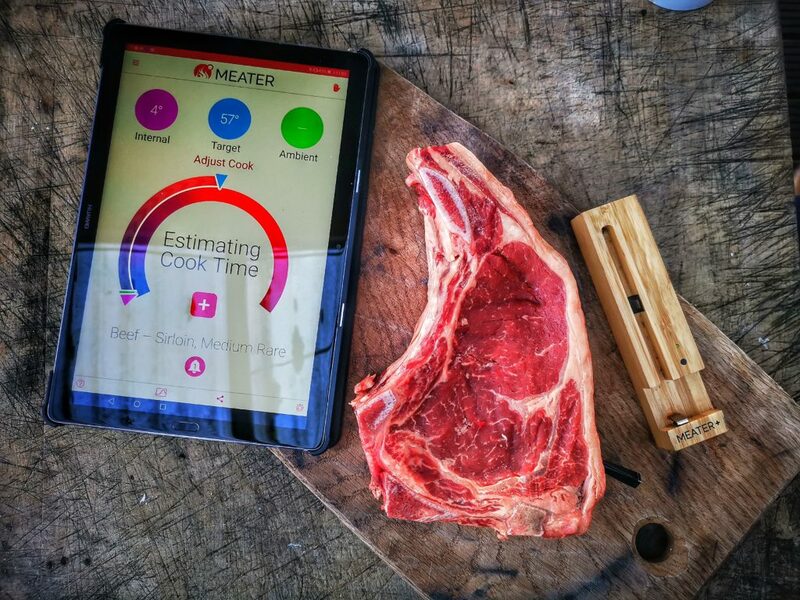 The Meater app is very impressive making the whole process of setting up a doddle, and giving a great range of pre set cooks, with spot on temperatures.